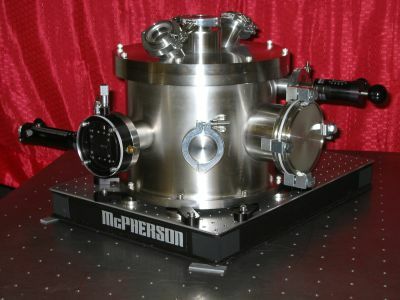 McPherson Model 251MX aberration corrected flat field spectrometer uses spherical substrate gratings with aspheric wave-front recording for an aberration corrected, high resolution spectrometer working through the soft x-ray region. Ideal for soft x-ray, extreme UV (EUV) and vacuum ultraviolet analysis. The long focal length and straight spectral lines provide excellent spectral resolution. Three different high quality gratings are readily available and to match your energy range of interest. The Model 251MX is ideal for direct detection XUV sensitive CCD detectors for fast, easy high-energy spectra. Microchannel plate (MCP) intensifiers are available for systems that require gating. Flat field aberration corrected toroidal grating spectrometer fills a 40mm focal plane ideal for microchannel plate intensifiers. Compact and versatile most are in use in tokamak plasma research, some now for high harmonic generation and attosecond laser physics. Versions exist with dual and triple grating turrets, back-to-back diffraction gratings for simultaneous, dual-range monitoring, rocking mechanisms to scan large plasma sections and more. For a general purpose laboratory instrument, greater flexibility, or astrophysics instrument calibration (for example) consider the Rowland circle design grazing incidence system Model 248/310G. It provides most flexibility with respect to wavelength range. Many grating choices are available and it delivers excellent spectral resolution. Call to discuss the deatils of your application today. 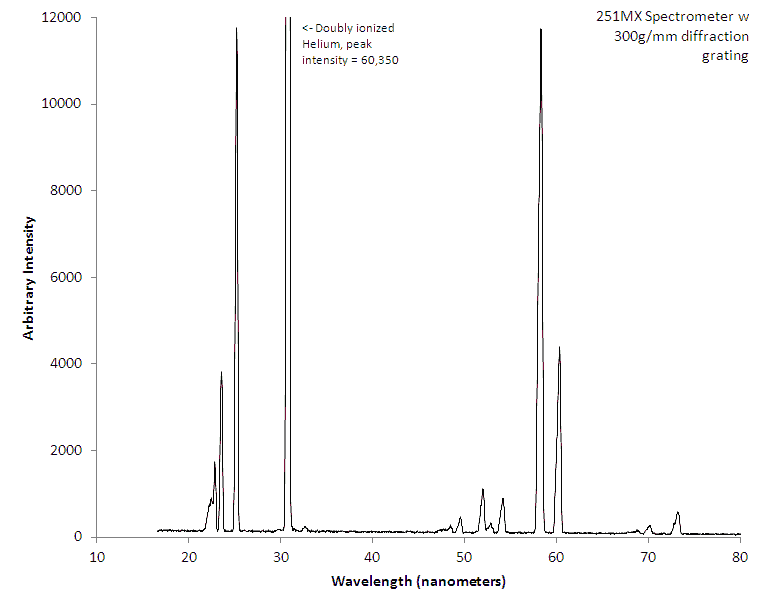 This spectra was collected with the Model 251MX and a Princeton Instruments PIXIS CCD. Coarse 300 g/mm grating used for the He and H data. 2400 g/mm for the MgO and Al-K data. 1200 g/mm aberration corrected flat field grating for the rest. Light source is windowless hollow cathode and a soft x-ray (SXR) electron impact source. Call 1-978-256-4512 to discuss your XUV and EUV application today! Abstract: More sensitive detection of charge exchange recombination lines from low-Z elements, and first-time detection from the medium-Z elements nickel and copper, has been achieved in DIII-D plasmas with a digital lock-in technique. That portion of the extreme UV spectrum varying synchronously in time with the square-wave modulation of a high energy, neutral heating beam is extracted by forming a scalar product of a correlation function with the data record of each pixel in the linear array detector. The usual, dense array of collisionally excited, metallic lines from the tokamak plasma is strongly suppressed, leaving only a sparse spectrum of lines dominated by charge exchange recombination transitions from fully stripped, low-Z elements. In plasmas with high metal content, charge exchange recombination lines from the Li-like ions of nickel and copper have been positively identified. Abstract: A compact vacuum ultraviolet spectrometer system has been developed to provide time-resolved impurity spectra from tokamak plasmas. Two interchangeable abberation-corrected toroidal diffraction gratings with flat local fields provide simultaneous coverage over the ranges 100-1100 A or 160-1700 A. The detector is an intensified self-scanning photodiode array. Spectral resolution is 2 A with the higher dispersion grating. Minimum readout time for a full spectrum is 20 msec, but up to seven individual spectral lines can be measured with a 1-msec time resolution. The sensitivity of the system is comparable with that of a conventional grazing-incidence monochromator. Fonck, R.J. ; Ramsey, A.T. ; Yelle, R.V. Abstract: The SPRED spectrometer is a VUV survey instrument that has been successfully employed on a number of plasma machines. Its use of a holographic grating results in a flat focal field, enabling the best spectral resolution to be achieved over the whole extent of the detector. A double SPRED spectrometer having two fixed gratings and two independently controlled detectors has been installed on the JET machine for the observation of the divertor plasma. An additional improvement over previous SPRED designs is the extended wavelength coverage of the detectors. 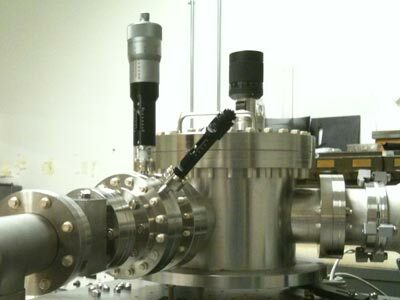 The experimental setup, including the spectrometer design, the VUV detectors, the alignment and control systems are described. The commissioning of the spectrometer on JET has allowed the performance of the instrument to be assessed, in particular its wavelength calibration, spectral resolution, and the effect of the integral shielding to nuclear radiation-induced noise. First results include a comparison with the spectral emission from the bulk plasma of the JET tokamak, observed with a single SPRED instrument, which emphasizes that the dominant emission from the divertor originates from low ionization stages or low Z-impurities such as carbon. Evidance has been found for the localization of the line emission from within the divertor chamber and some features of the divertor VUV radiation during high performance plasmas are described. Future applications are also discussed. Abstract: We show that attosecond pulse trains are a natural tool to control strong field processes such as high-order harmonic generation. Coherently combining an attosecond pulse train with an IR driving field, we predict and experimentally confirm enhancement and spectral narrowing of the harmonic yield at photon energies around 90 eV. The use of an attosecond pulse train to seed the harmonic generation process replaces tunneling ionization with a single-photon ionization step, therefore permitting the manipulation of the time-frequency properties of high-order harmonic generation already at the single-atom level. Abstract: In this paper, results of spectral investigations of low temperature photoionized plasmas, created by irradiation of gases with intense pulses of extreme ultraviolet (EUV) radiation from a laser-produced plasma (LPP) source, are presented. The LPP source was based on a double-stream KrXe/He gas-puff target irradiated with 4 ns/0.8 J/10 Hz Nd:YAG laser pulses. The most intense emission from the source spanned a relatively narrow spectral region λ ≈ 10–12 nm; however, spectrally integrated intensity at longer wavelengths was also significant. 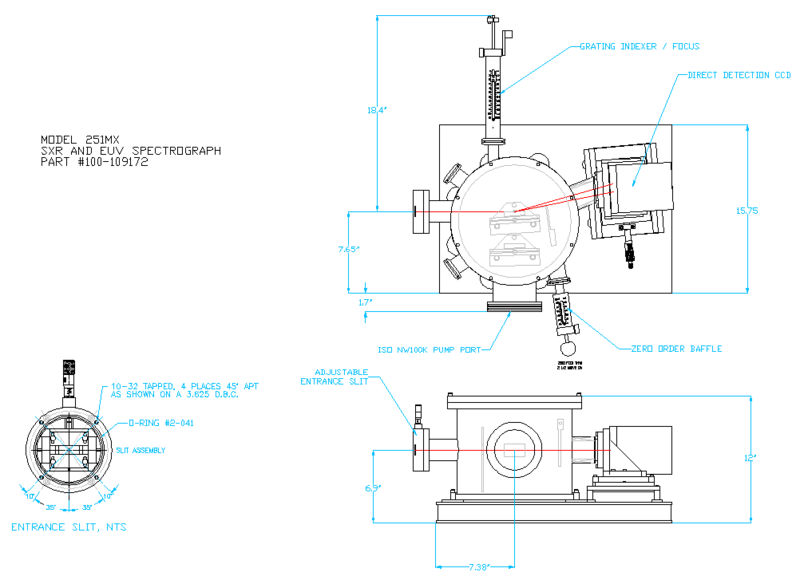 The EUV beam was focused on a gas stream, injected into a vacuum chamber synchronously with the EUV pulses. Irradiation of gases resulted in formation of photoionized plasmas emitting radiation in the EUV range. Radiation spectra, measured for plasmas produced in various gases, are dominated by emission lines, originating from single charged ions. Significant differences in spectral intensities and distributions between plasmas created in neon and molecular gases were observed. Abstract: Results from tritium operation of the VUV survey spectrometer on the JET tokamak are presented. The instrument, located outside the biological shield and offset from a direct plasma 1-o-s for maximum radiation protection, was operational during the trace tritium campaign (TTE) at JET. No discernible increase in detector background noise levels were detected for total neutron rates of up to 1×1017/s , demonstrating the shielding effectiveness of the configuration. 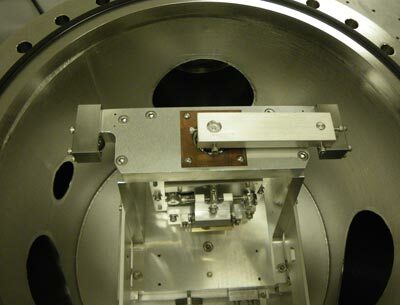 Some tritium retention in the detector microchannel plate was measurable, but has not hampered subsequent operations. As a reference the unshielded detector of a close-coupled XUV instrument was operated during TTE (the spectrometer itself was valved off from the JET vessel). This was exposed to neutron fluxes of ∼109/cm2 s , in excess of those predicted for the corresponding instrument on ITER (107–108/cm2 s) . A corresponding increase in the background level equivalent to ∼5% of the detector dynamic range was measured. This demonstration of the shielding effectiveness of the SPRED configuration during DT operations, coupled with the tolerable noise levels measured in the SOXMOS detector, give confidence in the planned implementation of such instruments in ITER. Abstract: In this work a laser-plasma EUV source was used for photoionization of noble and molecular gases. The resulting photoelectrons excited various electronic states in neutrals and ions leading to emission of radiation in EUV/VUV range. Irradiation was performed using a full wavelength range of the source or a short wavelength part selected with a Zr filter. The corresponding spectra were recorded using a toroidal grating spectrograph. Significant differences for spectra obtained in different conditions were revealed. Abstract: We present our attoline which is a versatile attosecond beamline at the Ultrafast Laser Physics Group at ETH Zurich for attosecond spectroscopy in a variety of targets. High-harmonic generation (HHG) in noble gases with an infrared (IR) driving field is employed to generate pulses in the extreme ultraviolet (XUV) spectral regime for XUV-IR cross-correlation measurements. The IR pulse driving the HHG and the pulse involved in the measurements are used in a non-collinear set-up that gives independent access to the different beams. Single attosecond pulses are generated with the polarization gating technique and temporally characterized with attosecond streaking. This attoline contains two target chambers that can be operated simultaneously. A toroidal mirror relay-images the focus from the first chamber into the second one. In the first interaction region a dedicated double-target allows for a simple change between photoelectron/photoion measurements with a time-of-flight spectrometer and transient absorption experiments. Any end station can occupy the second interaction chamber. 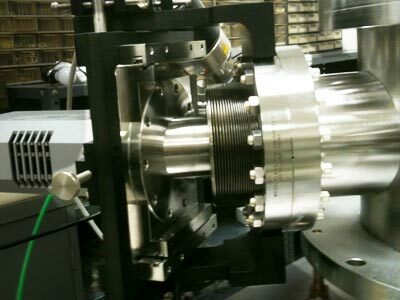 A surface analysis chamber containing a hemispherical electron analyzer was employed to demonstrate successful operation. Simultaneous RABBITT measurements in two argon jets were recorded for this purpose. Abstract: In this work helium and neon photoionization experiments, using a laser-plasma EUV (extreme ultraviolet) source were performed. 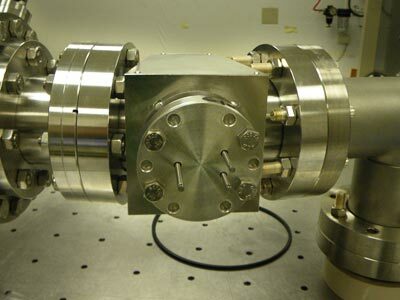 The EUV radiation was focused onto a gas stream, injected into a vacuum chamber synchronously with the EUV pulse. The most intense emission from the source spanned a relatively narrow spectral region centered at λ=11±1 nm, however, spectrally integrated intensity at longer wavelengths was also significant. Additionally Zr and Al filters were used to narrow the irradiation spectrum and to change the irradiation conditions. Irradiation of gases resulted in EUV luminescence, acquired by a toroidal grating spectrometer. The dominating spectral lines originate from singly charged ions, however, Ne III lines were also detected. Significant differences were observed between spectra obtained for different irradiation conditions. The differences were mainly due to various possibilities of photoexcitation of corresponding states depending on energy distribution of irradiating photons. What are your spectral-resolution and wavelength-range requirements? Vacuum range, if applicable? If you are requesting a formal quotation please include a complete contact address.